NASHVILLE, Tenn. – Rev. Dr. Timothy L. Bias, former pastor of Peoria First UMC, has been selected as the nominee for General Secretary of the General Board of Discipleship. Bishop Elaine J.W. Stanovsky of the Denver episcopal area and president of The General Board of Discipleship (GBOD), notified the board of directors that the Search Committee will present the Bias as their selection at the Oct. 10-12 board meeting. The election would be effective Jan. 1, 2014, as current General Secretary Karen Greenwaldt retires at the end of December. Bias, senior pastor of Hyde Park Community UMC in Cincinnati, was pastor at Peoria First UMC for 10 years from 1999 to 2009 before transferring to the West Ohio Conference. He was a two-time episcopal candidate from the Illinois Great Rivers Conference in 2004 and 2008. 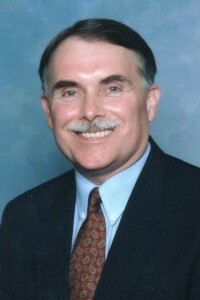 A native of West Virginia, Bias was a staff member with GBOD prior to his appointment to Peoria First UMC. A native of West Virginia, Bias has previously served at the GBOD from 1995 to 1999 as the Director of Evangelism Ministries. Bias has served churches in West Virginia, Illinois, and Ohio, and has written extensively about ministry in the UMC. Bias received his B.A. degree from Marshall University, a Master of Divinity degree from the Candler School of Theology at Emory University, and a Doctor of Ministry degree from United Theological Seminary.